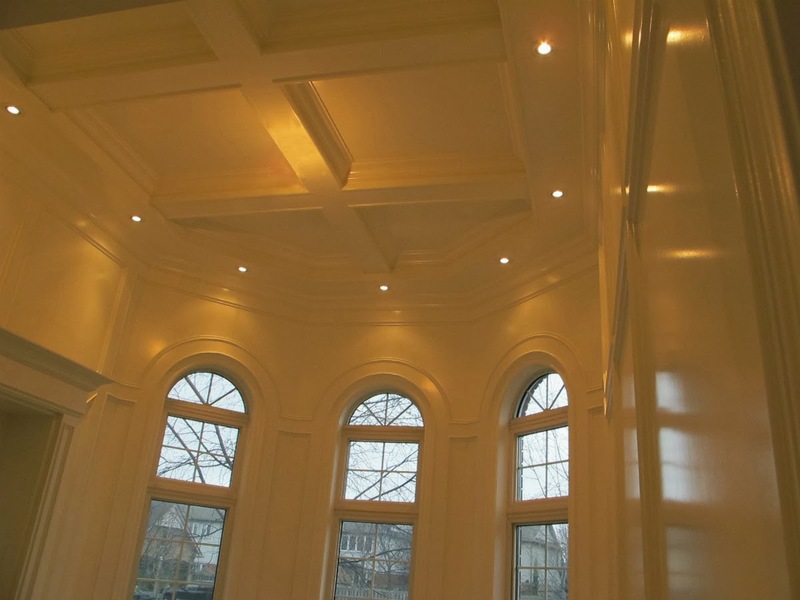 We can paint your white ceilings whether you have a waffle ceiling or a smooth flat ceiling. You can let us know if you prefer a silk, matt, semi-gloss, high gloss type of paint finish to match the rest of your room décor. 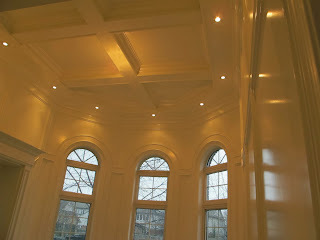 Here is a picture of a recent paint job we did in south-east Oakville. You can see the sheen of the white paint that reflects the accent lighting in the room and the intricate woodworking thru-out the office.